What’s better than a good old fashioned game of checkers? 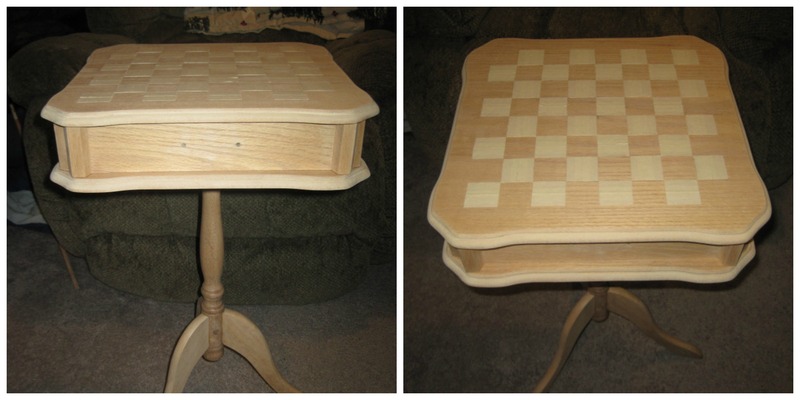 How about a checkerboard table competition, brought to you by yours truly. 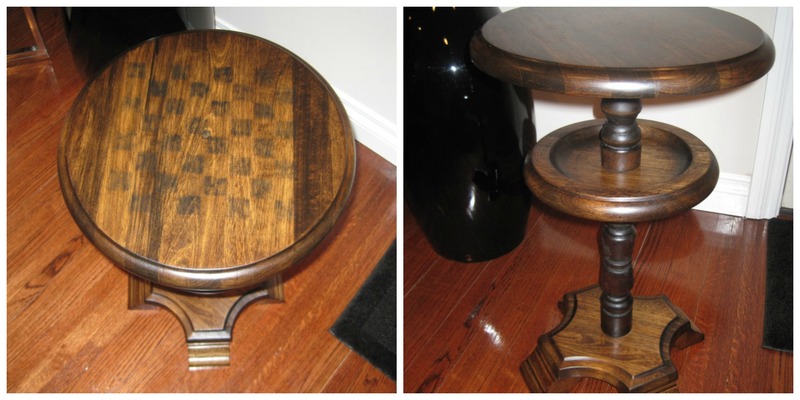 On one of our random Saturday trips, we came across a checkerboard end table selling for $200. It looked awesome, but we knew we could make something similar for next to nothing. We each had different ideas of how to make the table, and even what kind of table to use. Instead of arguing over it like we’d usually do, we decided to turn it into a bit of a friendly competition. 3. Used to be an ashtray, and was in desperate need of some attention. Dan took it apart and decided that he wanted to flip flop the middle and top tables. But before he could do this, he had to follow the usual routine – strip and sand. This took a lot longer than usual because of the years of dirt and grime (aka. smoke and ashes), and the level of detail involved (aka. tons of grooves to get into). 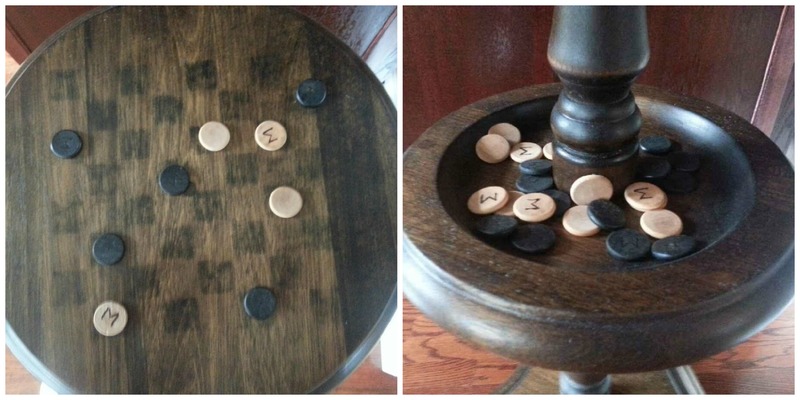 For the checker pieces, he used small wooden circles and carved a “W” into one side of each, which would act as the “king” side when playing. He then painted half black and stained the other half (my idea, thank you). 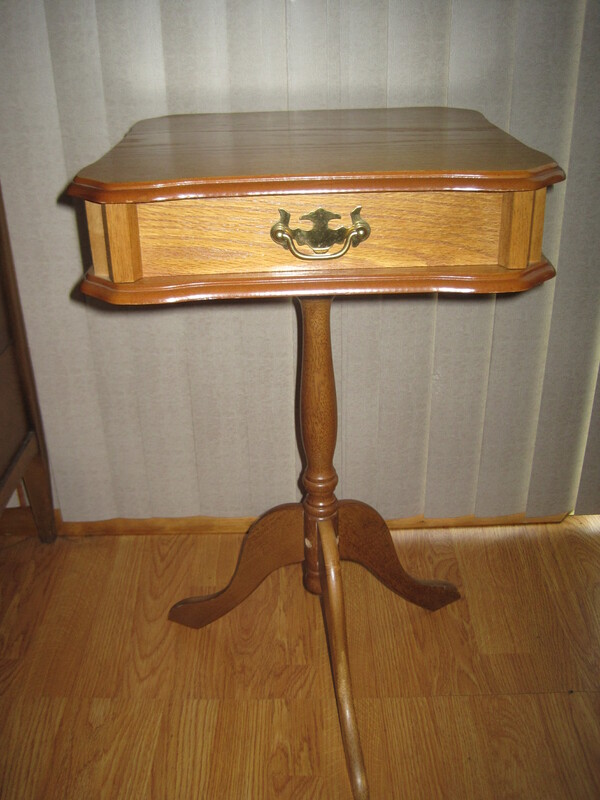 I’ll admit that his table came out pretty nice. Definitely a unique look to it with the circular detail. 3. A little more modern, and definitely easier to work with than Dan’s. As I mentioned, we each had a different approach on how to design our tables. Mine was a bit more traditional, square top to follow the square checker board. While Dan struggled with stripping and sanding down his table, that aspect of mine came relatively easy. I had less layers of finish and flatter edges to thank for that. My struggle came when it was time to add the checkerboard detail. Apparently I can’t draw straight lines. After a few nights of trying to draw out the grid pattern, I resorted to an easier solution found online – using tape to block out the squares on the table. 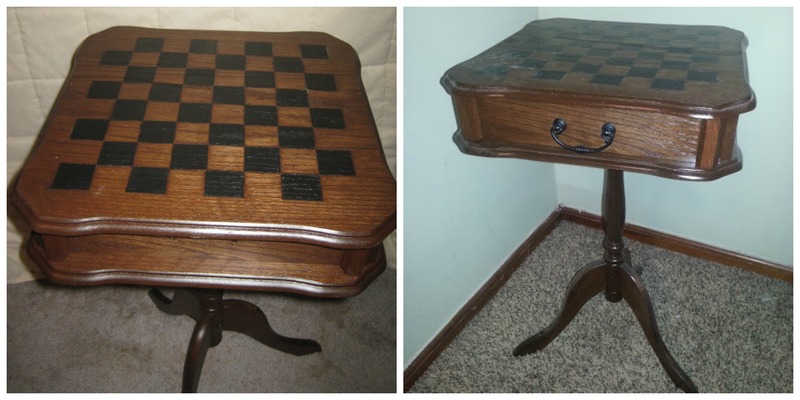 My idea was to have the entire thing stained except for alternating squares that would be left their natural wood color. So after cutting out the tape squares that would help keep the wood natural, I added two layers of stain. Because of the type of wood, it ended up being tinted pretty gray. So I went over the entire thing again with a gel stain that brought out the darker brown wood color I was originally going for. My natural wood squares ended up not working out either. 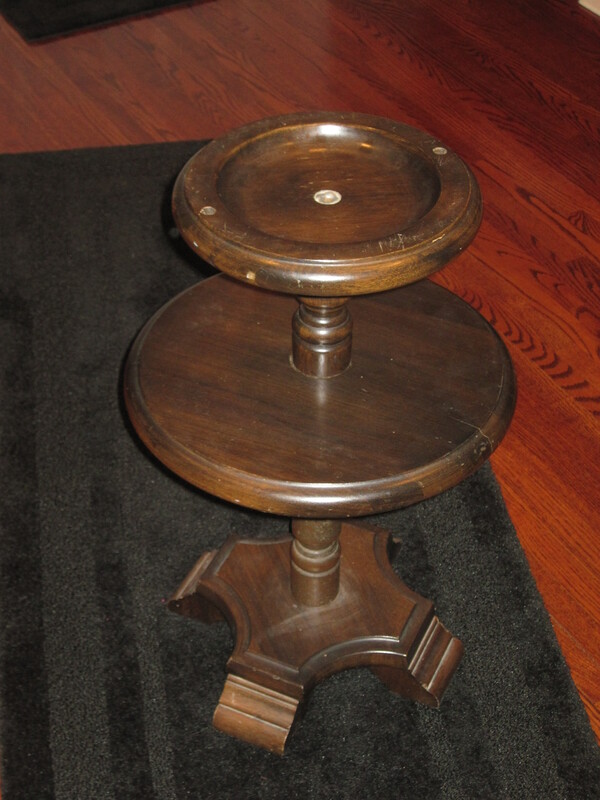 Three layers of stain – it was bound to start seeping through, and it did. Instead of starting over, I simply painted those squares black. 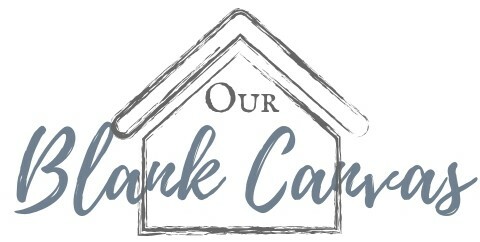 I was pleasantly surprised with how this turned out – better than my original idea (and closer to what Dan had in mind). 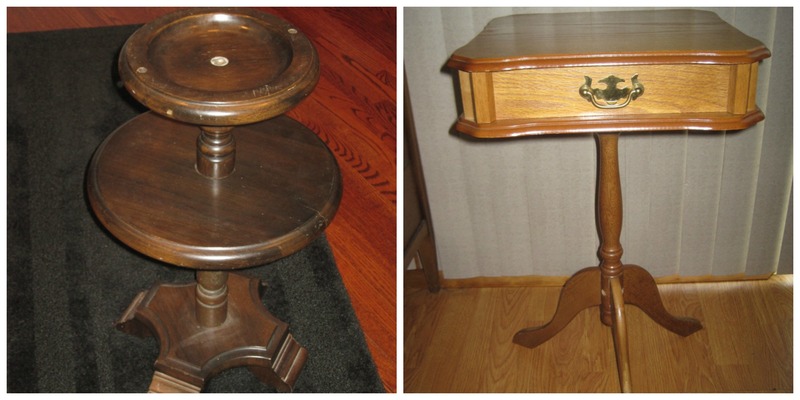 Like Dan, I also used circle wood pieces, just in a larger size. 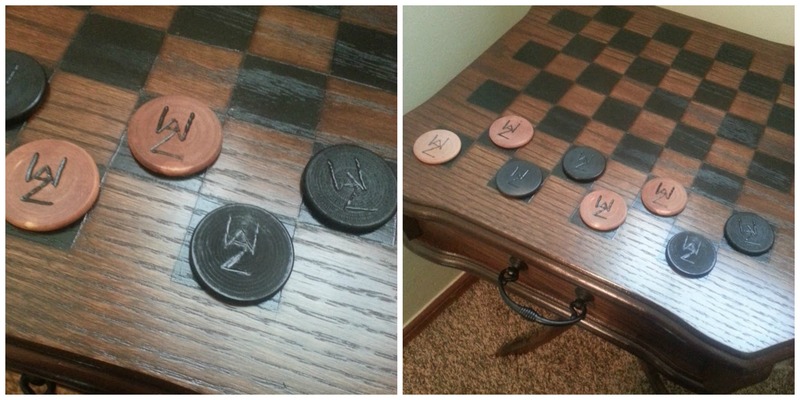 Because I had bigger pieces to work with, I carved our “Waz” symbol as the “king” side, and also finished them half black paint, half stained. 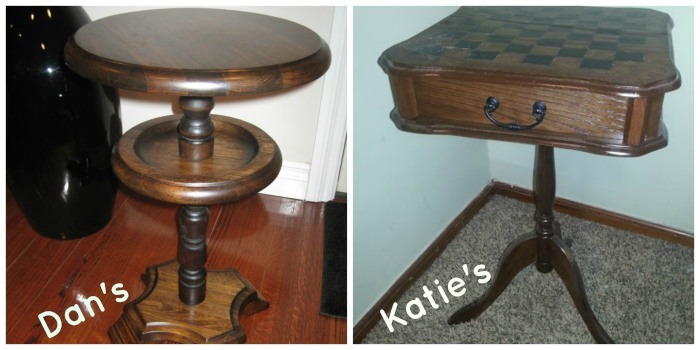 While my table didn’t follow the original plan, I was really happy with how it turned out. Why do you have to choose? I’d use both, lol!